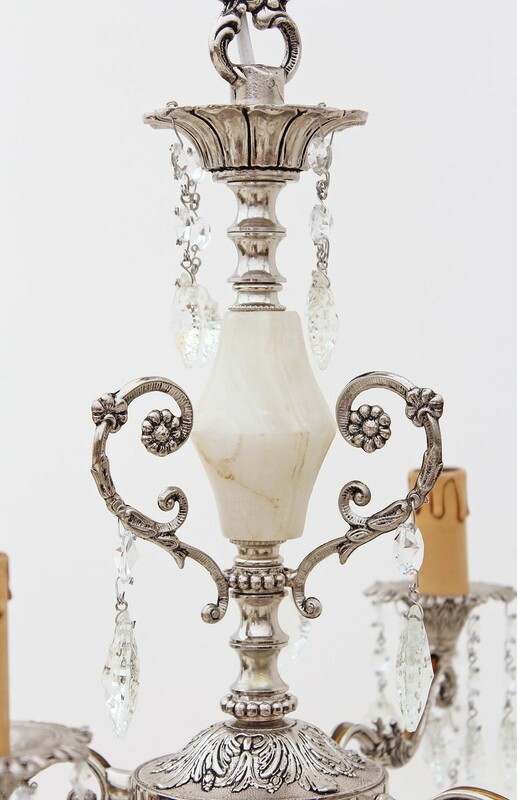 12 lamp silver on brass and crystal chandelier. 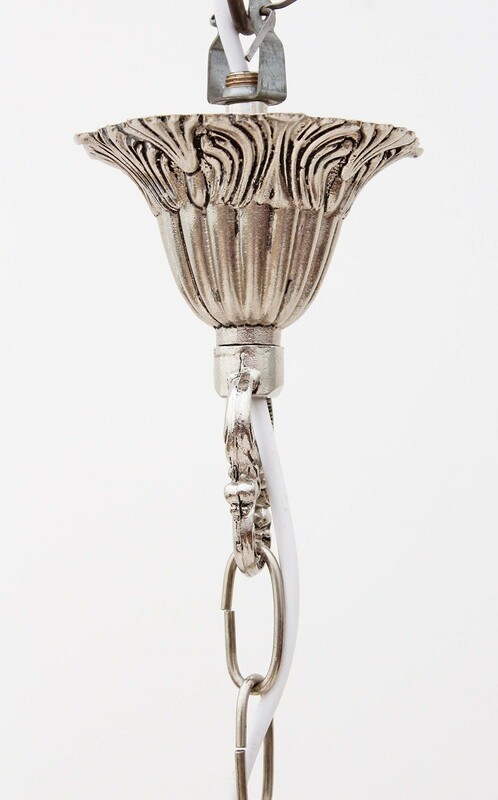 This chandelier has a patinated silver finish on brass and other metals. C1930, with a nice age and patina. Very elegant, with a quality feel. There is a piece of turned onyx in the stem. 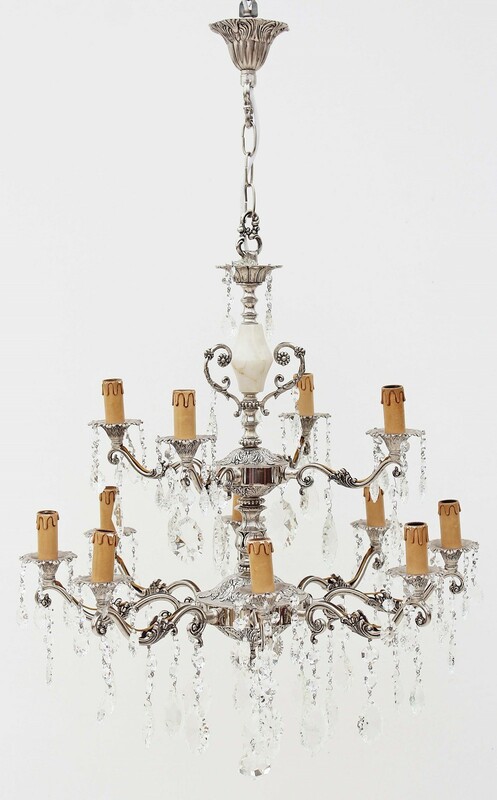 This chandelier will get noticed and would look great in the right location! The crystals are made of glass and we are unable to measure the lead content. Approximate overall dimensions: 63cm diameter x 110cmH (could be reduced to 102cmH, by removing links from the chain). 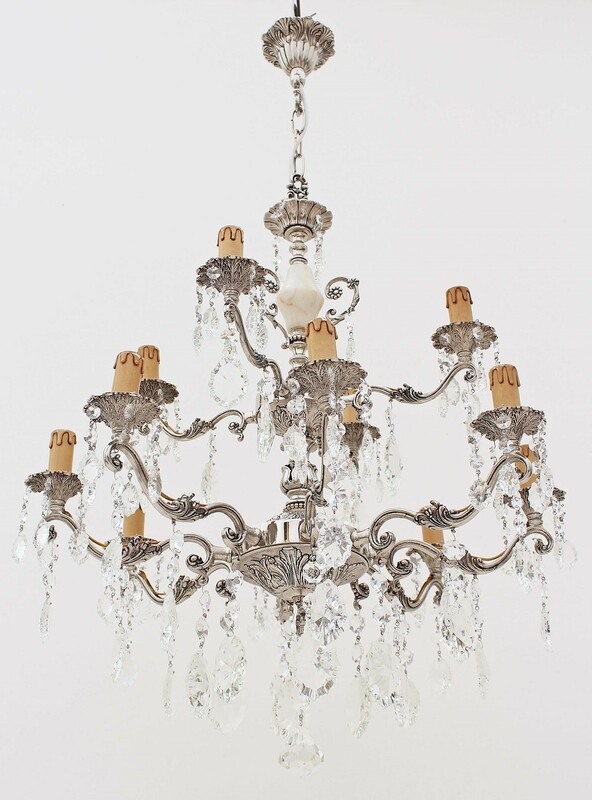 The chandelier is 78cm high alone, without the chain and ceiling rose. The wiring is modern with an earth connection. The chandelier takes the small Edison screw bulbs E14. There will be some historic knocks, marks, chips, minor damage and repairs as one may expect given it's age. Some crystals will have been replaced. 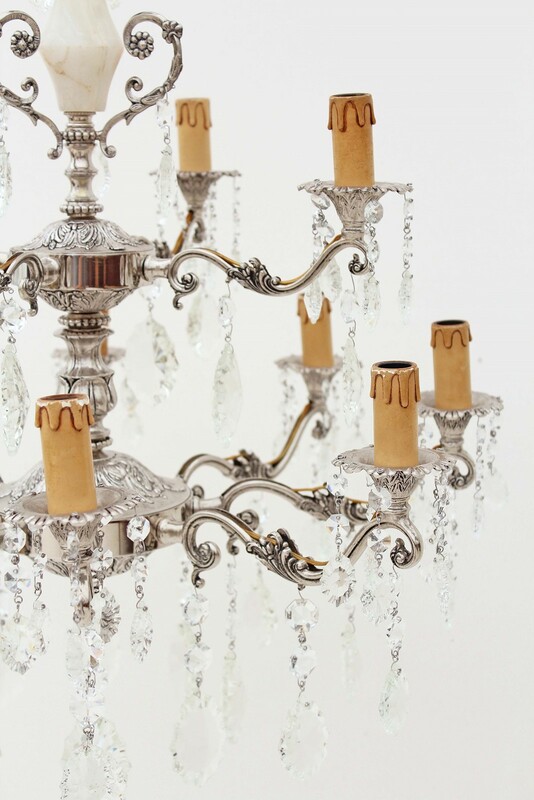 Some of the candle tubes will have gone a little discoloured and crumbly (through heat) as is usual. New ones are readily available if desired (usually £1 to £2 each). To keep your costs to a minimum we are offering a free delivery service with this listing via Parcelforce 48 or similar carrier. 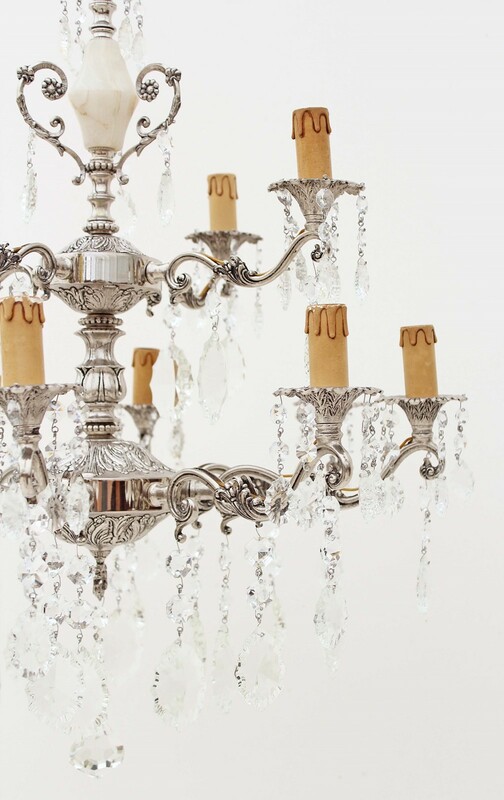 The chandelier will have its arms removed (they unscrew easily) and be carefully packaged. Upon receipt the chandelier will need to have it's wiring checked / reconnected and to be reassembled by someone competent to do so. 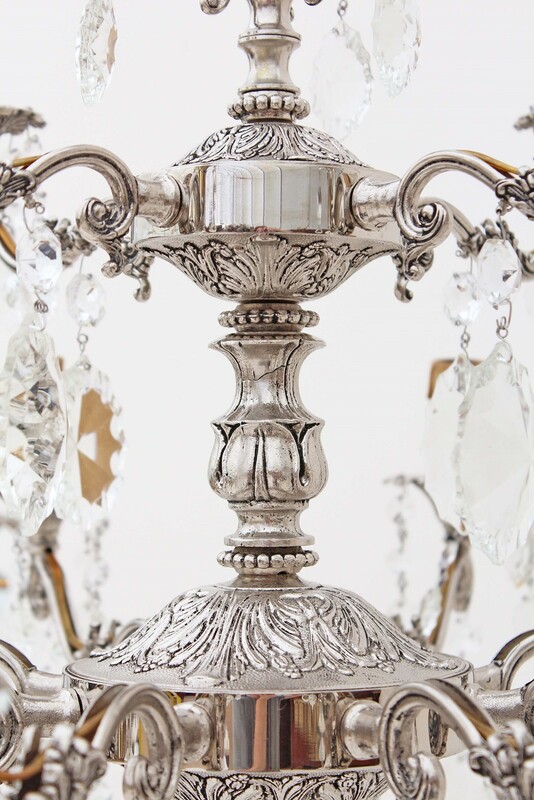 As an alternative we would offer to fully assemble the chandelier, connect up the wiring and then deliver it carefully using a specially commissioned courier to your home. The cost for this alternative will vary depending on where you live, but may be less than you expect. Please email me on [email protected] or call 07866 705199 if this is of interest. Because of the size and weight it will be necessary for at least two people to fix it to the ceiling. 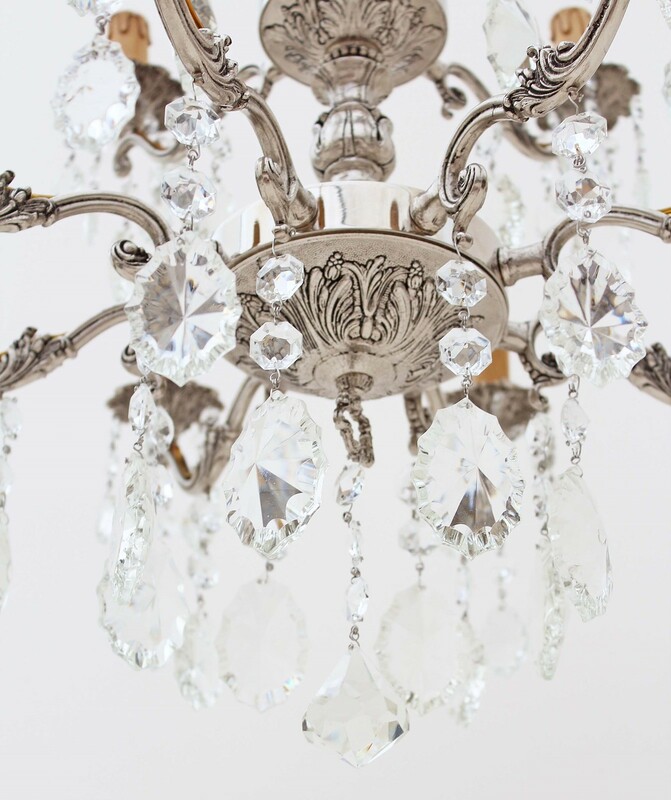 Make sure that the ceiling and fixing are adequate to support the weight of the chandelier. Check that no parts of the chandelier have worked loose in transit. If necessary tighten, but take care not to over tighten. 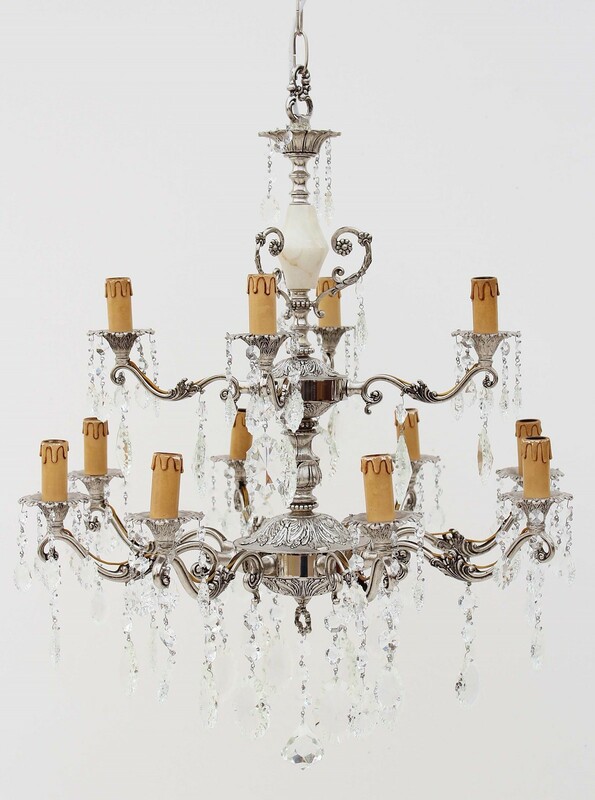 This chandelier must be installed by a competent Person (Building Regulations part P approved) and the lighting circuit is to be tested before and after installation. 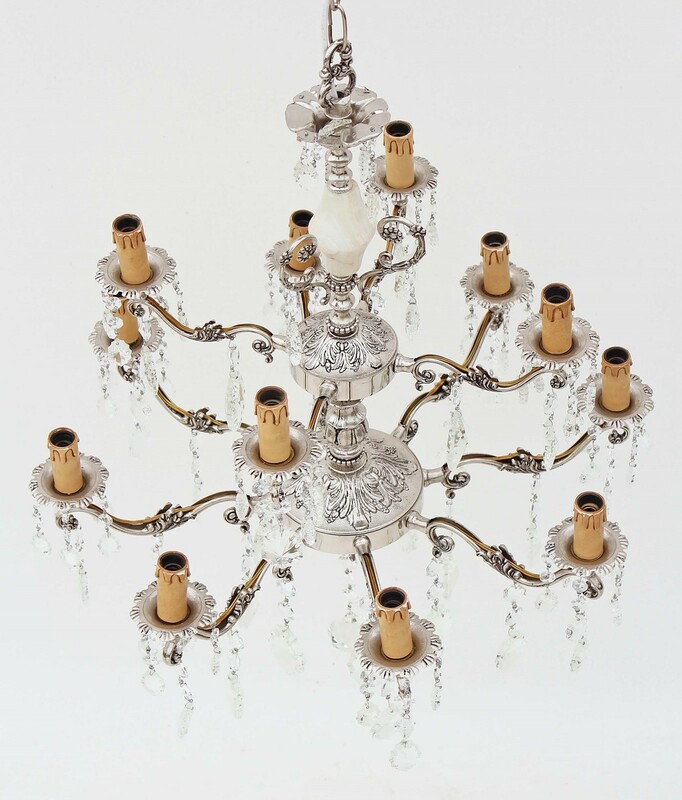 Re-test the chandelier before connection to a mains supply (in case any wires have been disturbed or chaffed in transit). FREE standard one-man delivery on this item to most parts of the UK. We have around 500 pieces at any one time with regular new arrivals. Customers are always welcome to view by appointment and we have experience delivering to Europe, USA, Canada and Australia. For us, this is a lifestyle business and we put every effort in, hoping to exceed customers expectations.